Join ACCA Preparatory Course with ACCA Gold Approved Learning Partner. 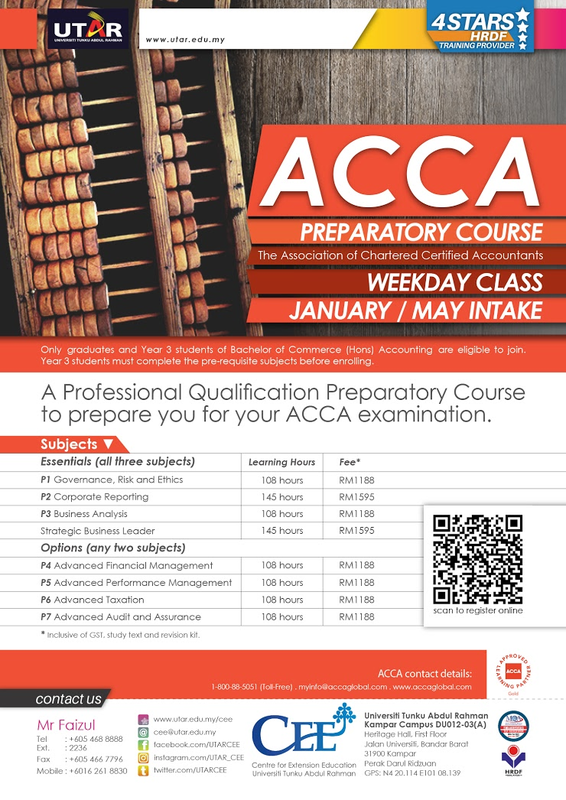 The preparatory course is to prepare you for the June 2018 ACCA examinations. Create the Opportunity. Excel in Education. Enrich your Life.